Appearance: Hazuki has the appearance of a middle aged man with light skin tone and a silky black hair below his shoulder lenght. He stands about 5 feet from the ground and is known to be very light on his feet. Hes usually spotted in the standard black and white kimono with a straw hat fastened to his head. Hair Style/Color: Hazuki has a long black wavy hair, extending all the way to his back but slightly above his hips. He usually allows part of his front hair hover above his left eye. Attire:Hes usually spotted in the standard black and white captain kimono made for the Gotei 13. However, during his free time hes seen on a more casual brown kimono with black ribbons wrapped around his palms. Miscellaneous:. He wields a double zanpaktou bounded together by black chains and is always seen with a straw hat over his head. Combat Style: Not much of a Hand to hand combatant, prefers the use of his sword to the common hand to hand exchange to settle any dispute. He is very swift with his movements and also proficient in the use of spells in combat. Shikai Special Ability: Hazuki creates, shapes and manipulates darkness in its different form. The Dark realm exist as an extension of his sense and as such determines the fate of his actions. I have now reached the true zenith of spiritual power. This level is so overwhelming that on its own that it can easily become a threat to all but the strongest fighters when fully unrestrained, when concentrated it's power could be even deadly when pit against inadequate defenses. At this point it seems as my reiatsu reserves have become vaguely limitless as even high level reiatsu techniques have become inconsequential to use. Appearance: Shisou is a dual sword set, comprising of a standard samurais katana and a kodachi. They both have wooden black hilts and a classic black sheath which shields their silver blades. 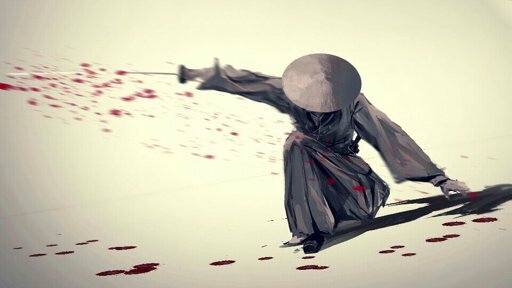 While Both Swords have extremely sharp cutting edge, The Katana is far reaching and carries more power thanks to its length of about 70cm (27.6inch). However the Kodachi is much faster and easier to use, with it reaching about 60cm (23.6inch) in length. Spirit Appearance: Shisou maintains no particular form or shape and usually moves around like a cloud of black Shadows/smoke. It could also adopt the form of a deceased loved one as it is with the case of Hazuki. Shikai Description: Once Zanpaktou is released, Shisou retains its original form with the only change to note being Hazukis dark aura which envelopes both blade. A thin line of Dark aura naturally envelopes Hazukis blade, making it appear as if covered in slightly transparent black flames. Shikai Ability: By tossing his left Zanpaktou (kodachi) to the air while murmuring the word obscure, swarms of butterflies made purely of dark aura manifests, threatening to snuff out every ounce of light over a 10 meter radius. The paths of the butterflies are easily directed by Hazuki who controls them with his left palm. These butterflies are solid enough to lift a grown man off the ground but lack the power to cause any significant damage even when conjointly working together. When swamped over Hazuki or an ally every hope of spotting Hazukis movement becomes extremely difficult as they tend to conceal his/her action, and would occasionally create silhouetted figures of him/her to throw of the opponent’s concentrations or sensory senses. ●By destroying a huge chunk of the flies, Hazuki Zanpaktou returns to its original state at the hands of its owner. ●If not forcefully deactivated Hazuki can call back his zan and reactivate within a post interval. ●Hazuki can bypass the tossing ritual and only call out the ability to activate same effect, if zanpaktou is out of reach with its shadow reflected unto a surface. Shikai Ability: Hazuki can expand, stretch, solidify and shape his shadow over a distance of 5meters, this makes it possible for him to come up with intriguing 2 or 3 dimensional constructs or even an extra limb if need be. This ability is mentally controlled and can be called upon as soon as he thinks it. ●Constructs are solid steel in nature and posses enough strength to cave a concrete wall. ●Shadows cannot be projected further than the 5 meter radius. ● Being an extension of his will, shadow constructs move two level lower than Hazukis natural speed but only a level lower if Hazuki should take control and actively manipulate its forms. Shikai Ability: Hazuki can sink into his or any other shadow not minding how big or small it may be. He can resurface from same or a different source of shadow as long as said shadow is within a 100m radius. While inside this shadow dimension Hazuki doesn’t lose sight of what’s happening in and around his environment and as such maintains 100% perception. Transition between shadows can happen at the shinigamis top speed or slower at a measured pace. ●He has a limit of 3 posts to remain in any giving shadow. ●Once any part of Hazukis body resurfaces from a shadow, He cannot re-submerge into that shadow till he’s completely out of it. ●If not resurfaced, Hazuki can change his destination from one shadow to another. [Shikai Ability: By Observing, stabbing or mentally commanding a shadow to rise, Hazuki Can give said shadow shape and form making it appear as a physical replica of its origin or an animated representation of common pets and beasts, all in shades of black. Being creatures spawn from darkness or shadow, these constructs maintain low physicality and as such tend to tear apart and auto reassemble when met with enhanced physical Impacts. However, being unable to physically impact their environment in a significant way, Hazuki can infuse shadows with explosive effects similar in results with his least to his highest destructive kidou spell under his Kidou Mastery category. With a target in sight animated shadows quickly engage in high speed pursuit till said target is within range for detonation. The shadows can to an extent mimic its origin in behavior and attitude as they carry out Hazuki goal. ●Summoned shadows must be within 30m of Hazuki. ●With their Physicality in question, Animated constructs can only go as far as inflicting Scratch and bites when in contact with low tier durable surfaces. ●Infusing shadows with blast effect only occurs when shadows have been stabbed by Hazukis blade before or after animation. ●Shadows not explosive in nature can only interact with the environment based on Hazukis will, sometimes acting as watch dogs for the purpose of gathering intel. ●Their speed are no different from the natural speed of the replicated biological animal. ●Once created they independently seek out their prey, but cannot drift past 40m of Hazuki. ●Once Targets are determined any future attempts at hiding, from sight or any other means becomes redundant unless reiatsu signature becomes obsolete. ●Physical damage will only go as far as liquefying them causing a post to three post delay for auto reassemble. This is dependent on size of constructs as a bear sized construct will naturally require more time to reassemble when compared to and ant. ●They however don't do well against light or heat based Reaitsu backed attacks, as contact with those will have them releasing stored effect if any before disintegrating. Release command: Pour forth from the depths of the abyss and consume the light which dwells within their hearts. Shisou Mokushiroku… BANKAI!!! Phase 1: On activation, Shisou radiates a cold wind which shatters its constitution, disintegrating it into multiple shards of black glass which drops to the ground. These glass shards quickly sip into the earth inform of liquid matter while Hazuki suffers a deadly cause that riddles his hands with cut marks eventually bleeding him out from each. Phase 2: A blood moon rises to the sky, causing darkness/night befall the entirety of the battle field for as long as his bankai remains active. From the risen moon, four samurai horsemen (War, Famine, Virus and Death) clad in all black would be seen and heard ridding down from the sky as they move to join their summoner Hazuki (the shadow of death). Hazuki wounds are superficial and as such don’t hinder the use of his hands in any manner and/or form. The bloods which drain out of the wounds are however not, and will remain constant, continuously dripping from him for as long as his Bankai remains active. The Horsemen whom approach from the clouds are also superficial as they can only be seen & heard by those Hazuki considers foe, while they are only heard by others. An interaction with the horsemen would have the opponent swinging at a body of dark cloud which retains its shape no matter the attack thrown at it. They also cannot physically attack the enemy but they can attack Hazuki should he summon them without possessing sufficient spiritual wealth (A and above reiatsu). 15 posts after bankai is activated, Hazuki drops down and collapses as a result of adverse blood loss deactivating his bankai in the process. Appearance: During the rise of the blood moon, Darkness rises from the earth coating the shinigami with its essence to manifest the shape and form of a samurai armor usually dawn by samurais prepared for war. A giant curvy blade 3ft tall manifests behind the Shinigami with his face and hair covered from view by a samurai mask. His eyes also takes a new glow, changing from its black and golden nature to a daunting red glow. A black tarthered cape attached to the edges of his shoulder blade then hangs loosely behind him. The horsemen adorn similar outfit while their horses appear heavily armored. Each horseman carries with them a unique tool of war, which they gift Hazuki when the time is right. Famine carries with him a chain net with multiple layers which is hooked to his waist belt. Death carries with him a sealed scroll/book which has the seal of a skull engraved on-top of it. Note: On activation of bankai Hazuki gains 1+ to his durability stats, He doesn’t lose control of his shikai element but rather tends to intensify its influence over a wider range and with better power and speed. Bankai activation occurs within two posts and as such cannot be applied till the third post. In Bankai, a talisman which has 4 missing orb appear at the base line of Hazuki’s chest on top his armor plating where it would be spotted engraved into its fabrics. These circular talisman acts as a hosting agent for Hazuki strength and a link between the Shinigami and the four horsemen. The Horsemen act as Individual forces of nature which affects Hazuki’s skill based on the gifts they bare. This Gifts which is physically represented by the weapon they bare Transforms into circular orbs with distinctive colors which they stab into the Shinigami chest from his back. Once this ritual is complete the said orb manifest on Hazuki’s chest with the same glow it had after transformation, completing that particular missing puzzle in the talisman. Depending on Hazukis Reiatsu and zanpaktou mastery, the Shinigami can only Have 4 or none active at a time. Any reaitsu lower than the above mentioned will result to a severe beating by the Horsemen, or an effect-less Bankai sealed for the next 4 summons. Description: Once activated, Hazukis control over darkness intensifies, giving him the ability to control, shape and manipulate darkness, blackness and even shadows in any manner and form he sees fit for defensive and offensive reasons. Hazuki can shape darkness into a particular form or weapon of his choice. Darkness within 15 meters of him is easily influenced by his presence and as such can easily sprout into action if he wills them. He could also Change the form of his blade, from a curvy 3ft blade to any other blade or melee weapon which he has seen that suits his fancy. Without any existing darkness or shadow, Hazuki can manifest dark blades, dark orbs, or various other melee weapons from thin air over a distance of 5 meters around him, which he can project forward or cluster together depending on the situation at hand. Manifested weapons can range from 1 to a 100 and usually materialize from dark portals made present around him. His shadows are steel solid and laser sharp when retaining a particular solid state and can adopt other forms such as liquid and gaseous states which he can disperse over a 500m range. Constructs made cannot move faster than Hazuki Innate speed whether physically or mentally manipulated. Description: Blessed by the horseman of scarcity, Hazuki’ creates slime like or semi liquid bubbles, cube and cones of darkness which consumes and trap matter within its grasp, giving him the ability to restrain matter at a particular spot. This ability allows him reduce the speed of sentient matters exponentially or warp up this matter to a pocket dimension where it sits forgotten for all eternity. Death Trap naturally moves in a semi liquid state but can be applied to any liquid, semi liquid or partially solid constructs made from Hazukis Darkness. [*]Based on the object of consumption, construct made from this ability consumes at a speed level lower than Hazukis and just as fast if only made to restrain. None resihi or reiatsu based constructs are consumed or restrained on contact. High tier reiatsu based constructs/objects or matter are restrained at two speed level lower than Hazukis base speed and can only be consumed if Hazukis is willing to pay the reiatsu cost equivalent to named skill or ability. [*]Object restrained by this ability stay stationed at the point of contact for a period of 3 post. [*]Restrained ability do not loose their ability potency but are rather stationed at a point of no movement,where a black slime like wave of reiatsu encompasses them. [*]Object Consumed by this becomes the property of the horseman and as such cannot be recalled for the remainder of the battle. Zanpaktou and Sentient beings excluded. [*]Sentient beings of equal or greater reaitsu hit by this ability experience a drag in their motion, resulting to a 1 level drop in their speed stats. [*]Successive strikes multiplies this effect, further reducing their stats till they hit a resting point. An extra post for every extra level in reiatsu difference. Description: Receiving the Gift of chaos, Hazuki emits a gas of black fumes which withers and erode matter on contact, these aura kills the basic concept of sentient material, elements or concept returning it to a state of no effect or to a state of reduced effect as the case maybe. Hazuki can also emit this beam in a 15 meter radius and at 5 meter if concentrated to retain maximum effect. Last breath unlike Death trap, exist in a gaseous form but can be applied to all light and energy based constructs created by Hazuki. [*]By breathing out heavily Hazuki can emit this gaseous matter through his mouth and nose over an area of 50 meters and can also emit it through his reiatsu at a 15 meter radius. [*]This toxic gas unlike death trap doesn't aim to restrain or consume rather it withers and erodes object reducing them to ash or rotten matter as the case maybe. [*]Reiatsu based constructs are forced to wither away or reduce in potency when exposed to its fumes while Sentient beings Suffer a diverse effect which Intercepts their reiatsu flow. [*]Physical exposure reduces the effectiveness of any armor in use at that point while bare skin exposure could lead to skin irritation and eventually cell decomposition. [*]This could lead to the person totally losing that point of contact if steps are not taking to sever its advancement. [*]If inhaled, reiatsu and reiatsu applications become unstable and maintain reduced effect for a period of 3 post. [*]Being a constitute of gas, Last breath is a fast reacting agent but can only move at the pase of the wind. [*]Those with equal or higher reiatsu wealth can mitigate effect to an extent, but will still feel the skin irritation for a period of 3 post. Description: Gifted the book of death, Hazuki gains the secret written within it pages allowing him a change of power from simply animating his shadow to the point of summoning the dead to do his bidding. This like his animation detonates on demand but unlike his animation is not made purely of darkness and as such can be more flexible and aggressive in battle. However thanks to their none dark mode they also crumble under sufficient force and cannot be reassembled when totally destroyed. Each tier hosts a unique caliber of the dead which can be summoned for battle. Once a tier is conquered the name of the monster is ruled out from its pages and cannot be re conjured for the remainder of the battle.